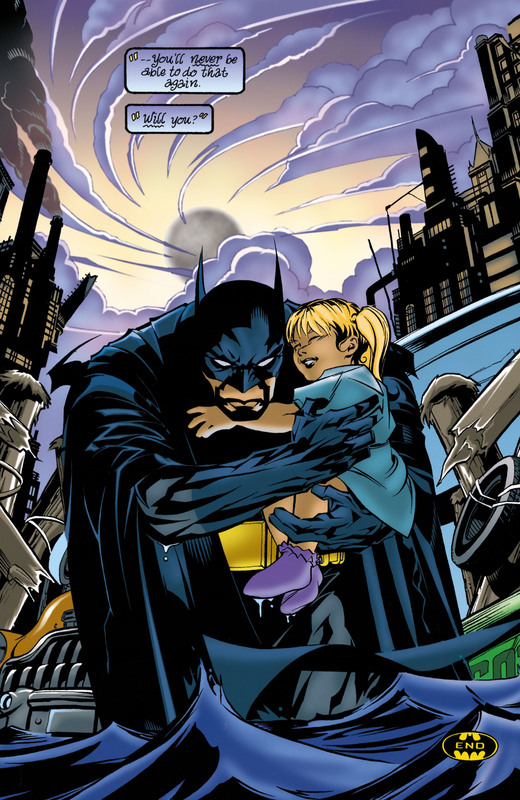 Batman is working on a case related to an Arkham Asylum ex-con who kidnaps a little girl. 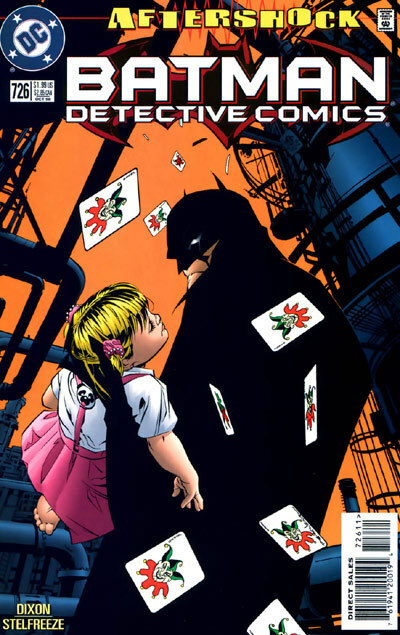 Batman learns that the abductor committed suicide and he decides to search for clues in the only place that might hold answers; Arkham. 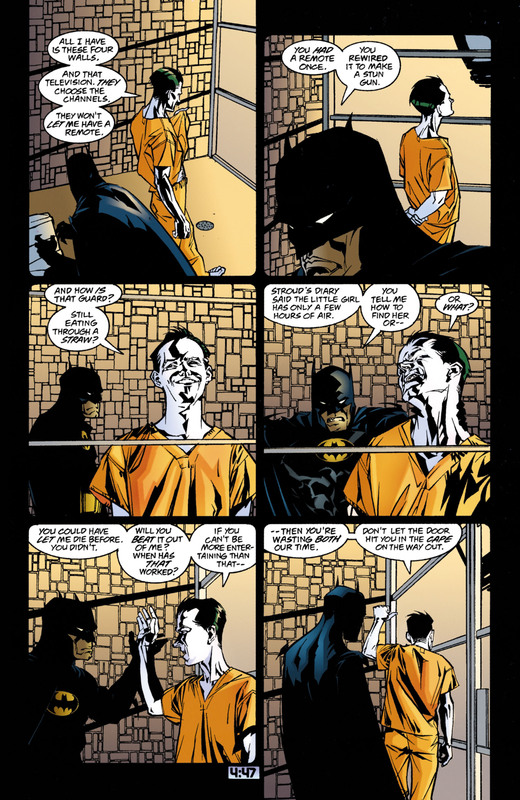 Upon arriving, Batman learns that the released inmate cell was the one nearby the Joker's cell. 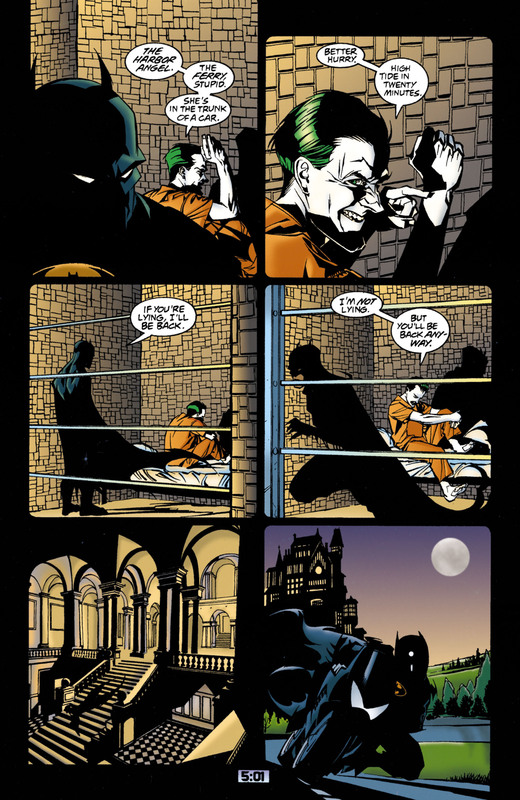 Batman learns that the abduction was a Joker plan from the beginning and that the ex-con was just used by the Joker. 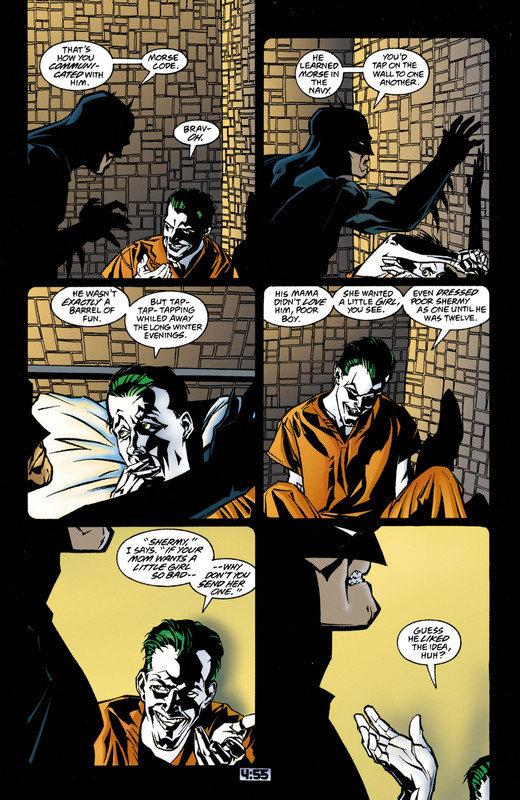 Batman deduced that the Joker planned it all along due to the date, which was the anniversary of death of Jason Todd. but would he really explain the punchline that easily? This is one of the few times where I think he has to. Because its an awesome punch line, but I think a lot of people (myself included) wouldn't get it if it weren't spelled out for us. Yea, and he needs Batman to know it, really know it, for it to work. 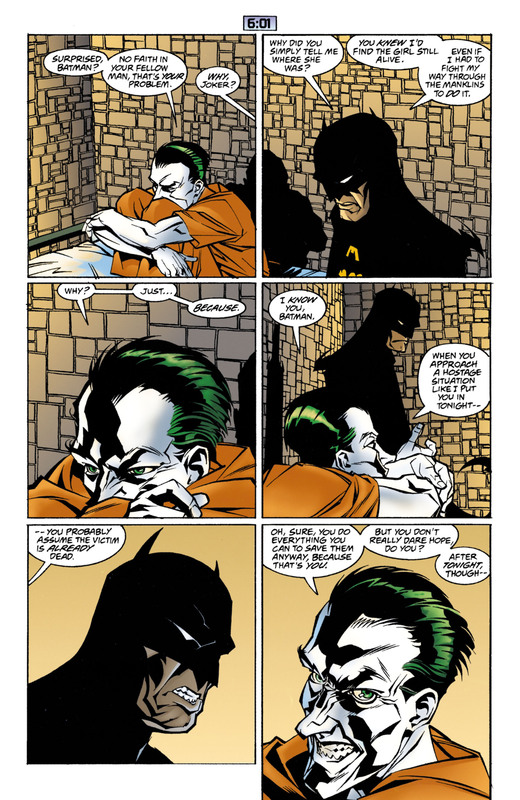 This one of my all-time favorite Joker stories. What made it even better for me is that I just stumbled over it so it feels like this hidden gem. The story also did this great visual storytelling by showing Batman basically taking out a small army of goons while mentally sparring with Joker. It also established Dixon as one of the underrated Joker writer as he was crucial in depicting him as this mental threat. This is a GREAT Joker. Nope. Sorry, not buying this one iota. Why would Batman assume someone was dead when there was the slightest chance they'd be alive? He'd assume people were alive because that's what he became Batman to ensure happened. 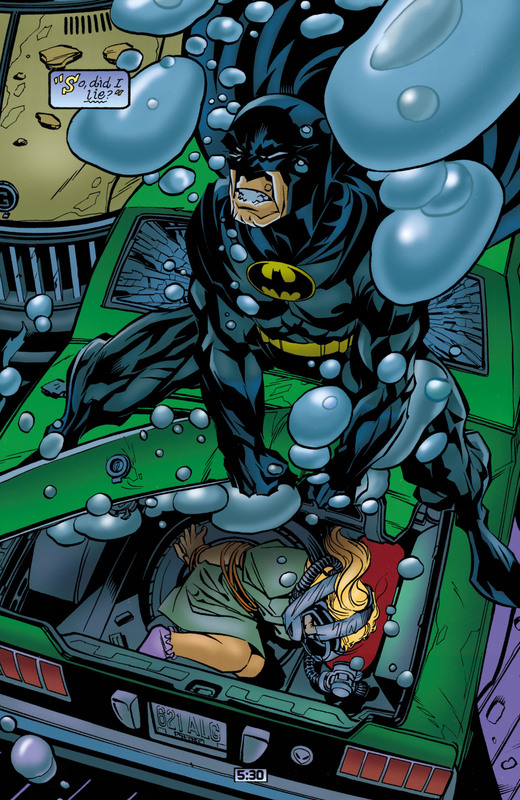 A Batman who takes the default position that hostages are already dead is not a Batman I really care about, but one who goes to ridiculous lengths to save lives, THAT's a Batman I can admire. 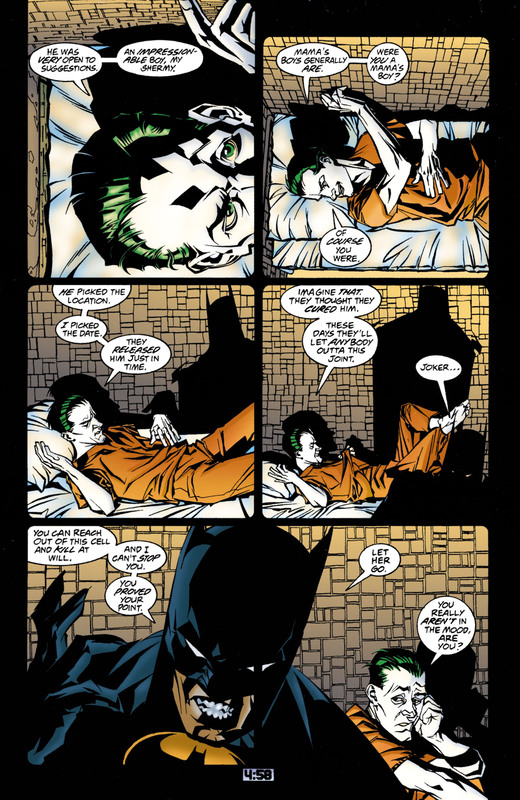 Well as Joker says Batman would still do everything he could to save them even if he thought they were already dead. But the story's punchline (as it were) depends on Batman "considering them being alive" to be a paradigm shift which will , somehow, change him. I've never for a moment thought that WAS his attitude, because he's Batman, so the ending makes no sense to me. To be fair, this *is* on the anniversary of Jason's death (and predating Under the Hood, to boot). It's natural for Bruce to be in a slightly gloomier state that night, of all nights.